"We wish you speedy healing, and we offer you what comfort and care we can provide. For fifty years and more we have stood in Coolidge Corner along the route of the Boston Marathon, propping open our front doors to welcome cheerful spectators who need a break from applauding, and silver-wrapped runners seeking a little peace, quiet and coolness after their joyful ordeal. Marathon Monday, or Patriots Day as it is known elsewhere, has always brought out the very best of the inhabitants of this city, and the tragedy that occurred yesterday did absolutely nothing to change that. If anything, the compassionate actions of those at the scene showed that an even greater strength resides in human beings than perhaps we were aware of. Our thoughts and prayers are with all of those who were lost or hurt in this senseless violence. "We are as proud as ever to be a part of this community, and if it were possible we would open our doors even wider than they were yesterday." 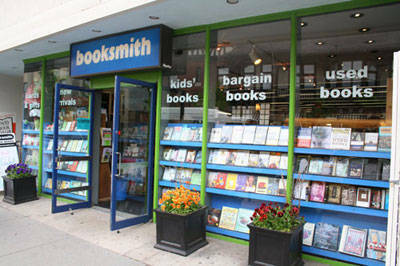 --Brookline Booksmith, Brookline, Mass., in a B-Mail e-newsletter sent out yesterday. World Book Night U.S. has delineated the top giver towns, cities and regions per capita. "Doing it just by pure number and by individual towns and cities didn't capture the full picture of where the most givers are," executive director Carl Lennertz commented. "Yes, the five big cities top the list in order of population, but then it begins to follow along the lines of both very involved bookstores and libraries, as well as places with community-minded citizens and/or a population in need." 1. West Seattle Sound (Bainbridge Island/Kitsap/Olympic Peninsula), Wash.
5. San Joaquin Valley, especially Fresno and Bakersfield, Calif.
6. East Bay: Oakland, Berkeley and all of East Bay, Calif.
7. Raleigh/Durham/Chapel Hill Triangle, N.C.
9. Palm Beach County, Fla.
Skyhorse Publishing and Start Publishing have partnered to acquire Underland Press, which specializes in science fiction, fantasy and horror, in a purchase that is part of the joint effort to "deepen their relationship to the genre community." Skyhorse publisher Tony Lyons said, "We look forward to publishing 10-20 new books a year, to re-promoting the Underland backlist, and to finding new readers for these terrific books." "I'm proud of what we were able to accomplish," said publisher Victoria Blake, who founded Underland in 2007. "I'm thrilled that the Underland name and legacy will live on at Skyhorse and Start Publishing." Blake will continue to act as publisher of InFact Books, an imprint of the Creative Nonfiction Foundation, which is distributed by PGW. Nook Media, a subsidiary of Barnes & Noble, announced that Pinterest is now available on Nook HD, Nook HD+, Nook Tablet and Nook Color and will be preloaded on new devices, along with Twitter and a new Facebook for Nook app. The Pinterest and Twitter apps are available for existing customers as a free download from the NOOK Store. Claudia Romanini, v-p of Nook Apps for Nook Media, said Pinterest "has long been one of our most requested apps.... Our goal is to bring Nook users the very best in social media and these apps will bring to life the rich sharing experiences that Pinterest, Facebook and Twitter offer." Hoping to address the ongoing challenge of book discovery in a digital world, a group led by the Perseus Books Group, Librify, BookExpo, the AlleyNYC and William Morris have announced the Publishing Hackathon, which invites digital designers, engineers, programmers and entrepreneurs to spend 36 hours together in teams to develop new approaches to digital book discovery. The Publishing Hackathon will take place on May 18 and 19 at the Alley NYC. Participants will be briefed by a cross-section of book publishing leaders and then form teams to create apps, websites, programming or businesses that can address the issue of book discovery in this rapidly evolving landscape. At the end of the weekend, judges will identify the three to five most promising finalists, who will have the opportunity to pitch their solutions at BookExpo America on Friday, May 31, to a panel of judges that includes Jennifer Rudolph Walsh (literary department head at William Morris Endeavor), David Steinberger (Perseus CEO and chairman of the National Book Foundation) and Stephen Evans (director, SilverLake Capital). The winning project will receive a $10,000 prize and the opportunity to pitch the idea at a breakfast meeting with Ari Emanuel, co-CEO of William Morris Endeavor. "We believe convening the best minds in both digital and publishing can only spur better thinking and solutions for the industry as a whole, something we are always keen to be at the forefront of," said Steinberger. BEA event director Steve Rosato noted that "hosting the Publishing Hackathon finals at BEA not only brings attention to how important technology is in publishing and that tech is such an important aspect of BEA, but this also brings together venture capitalists, entrepreneurs, publishers, agents and others at BookExpo to discuss the digital future and the multitude of opportunities." Last week the Dia:Beacon art center in Beacon, N.Y. celebrated the publication of the audiobook Pete Seeger: The Storm King (Hachette Audio) by legendary folk musician, storyteller and civil rights crusader Pete Seeger. The two-CD set features stories, poems and narratives by Seeger, underscored with music by more than 50 musicians in multiple genres. 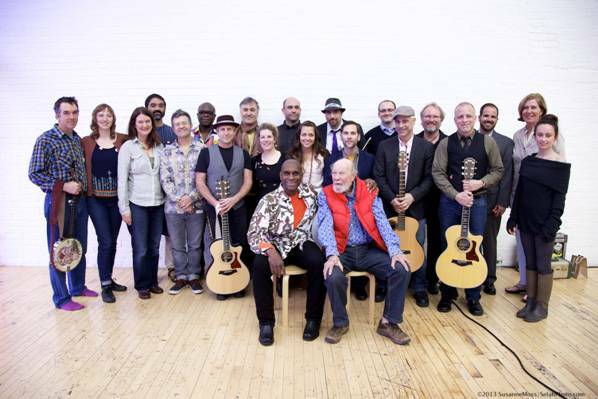 Seeger is seated, front and center, next to Jeff Haynes, the Grammy-winning percussionist and producer of the project. An excerpt is available to listen to here. Stephanie Ellis, manager of Bookshop Benicia in Benecia, Calif., was interviewed for an O, the Oprah Magazine feature headlined "6 Daring Women Reveal Where They Find Their Confidence." "Working at the bookstore, I meet a lot of people who come from a different walk of life than mine. (And who aren't half as pierced or tattooed. )," she said. "But I don't ever want that to matter. I don't want to stand there with shaky hands, feeling unsure of myself. I want to make a real connection. Of course, there are mornings when I wake up and think, I am not fit for public consumption today--and other times when I think, 'I have no business raising children, let alone by myself.' But in both cases I remind myself that I have a role to play, a job to do. Until my kids are grown up, I don't have a choice. I can't falter. I can't fail." Tokyo construction firm Kajima Corp. and its affiliate, bookstore chain Yaesu Book Center, have started a joint beekeeping venture in a project to help raise awareness of environmental protection. The Japan Times reported that "some 20,000 western honeybees are being kept on the rooftop of the bookstore chain's eight-story building near Tokyo Station." "We'd like to use this bee project, which is under way in front of Tokyo Station, to spur discussion regarding city development that can sustain biodiversity," said Yoriyuki Yamada, deputy general manager of Kajima's environment division. The bookstore "plans to give away the honey to the first 100 customers who buy ¥3,000 (about US$30) or more worth of books on April 23, which is World Book Day. 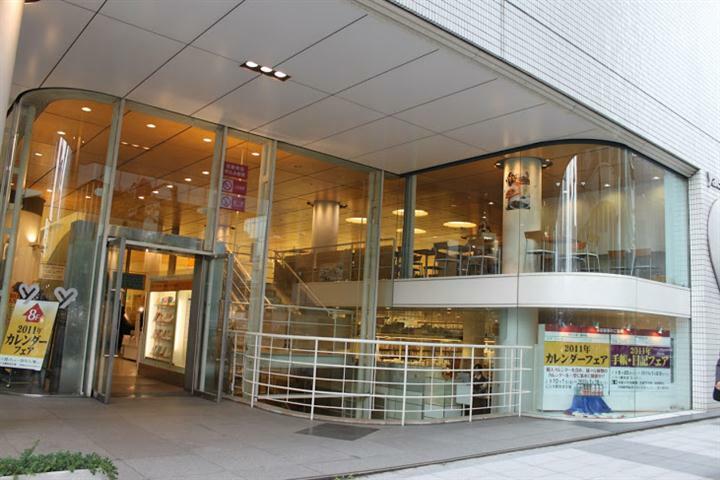 The store also plans to offer the harvest at a cafe inside the store," the Japan Times wrote. 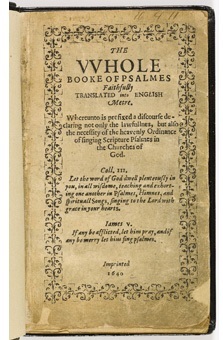 The Bay Psalm Book, a "tiny hymnal from 1640 believed to be the first book ever printed in what is now the United States, will be auctioned by Sotheby's on November 26 and could go for as much as $30 million, the Associated Press reported. Only 11 copies of the book survive and members of Boston's Old South Church have authorized the sale of one of its two copies. "It's a spectacular book, arguably one of the most important books in this nation's history," said the Rev. Nancy Taylor, senior minister and CEO of the church. The Bay Psalm Book is "an iconic piece. It's the beginning of literate America," said Mark Dimunation, chief of rare books and special collections at the Library of Congress. "American poetry, American spirituality and the printed page all kind of combine and find themselves located in a single volume. But there's also something much more modest and humble about this piece, which makes its survival all the most extraordinary." Time of Change by Aimée and David Thurlo (Forge Books), the first of a new series from the authors of the Ella Clah crime series. Tomorrow on Dr. Phil: Tom Sizemore, author of By Some Miracle I Made It Out of There: A Memoir (Atria, $26, 9781451681673). Tomorrow on KCRW's Bookworm: Mohsin Hamid, author of How to Get Filthy Rich in Rising Asia (Riverhead, $26.95, 9781594487293). As the show put it: "Mohsin Hamid's new novel, How to Get Filthy Rich in Rising Asia, mocks the genre of the self-help manual. It delivers a serious story about the difficulty of being a full person in a culture that prizes accumulation above all else. Set in a rapidly globalizing Asian country, the book is written entirely in the second person, narrated by an instructional voice that guides an unnamed character through business and romance." Tomorrow night on the Daily Show: Mark Mazzetti, author of The Way of the Knife: The CIA, a Secret Army, and a War at the Ends of the Earth (Penguin Press, $29.95, 9781594204807). Go the F**k to Sleep: The Movie? Screenwriting team Ken Marino and Erica Oyama have been hired to adapt Adam Mansbach's bestseller Go the F**k to Sleep for Fox 2000 and producers Karen Rosenfelt (Twilight Saga) and Erwin Stoff (All You Need Is Kill), Deadline.com reported. Vivian Versus the Apocalypse by American Katie Coyle (25) and The Rig by Australian Joe Ducie (24) are joint winners of the Guardian Hot Key Books Young Writers Prize for the ages 13 to 19 category. Each has been given a publishing contract worth £10,000 (about US$15,285) by Hot Key Books, with both books scheduled for release in September. Pharos Editions has had a long gestation period: 35 years, beginning when Harry Kirchner, working at Seattle University Bookstore, met Jamie Angell. One day he was putting out an eclectic collection of books, and Jamie started picking up the books; over the course of the next few weeks they continued to meet and talk books, and became friends. Soon, the idea of reissuing out-of-print books with author introductions was born. Two years ago, Kirchner met Aaron Talwar and Jarret Middleton from Dark Coast Press, in his role as director of national accounts for Ingram Publisher Services, Dark Coast Press's distributor. They were curious about how to build a backlist, and Kirchner still had this dream. Talwer and Middleton liked it--a partnership was born. They refined the idea into a distinct publishing format: they would find authors to select books and write the introductions; they would emphasize print (obviously the way to go in the age of e-books); and the books would be highly designed (heavy stock, jacketed paperbacks, interior design work) yet affordable. Jonathan Evison, a good friend of Dark Coast Press, came on board immediately. His pick was McTeague by Frank Norris, a true classic of American realism. The next author to join in was Sherman Alexie, who chose the iconic basketball novel Inside Moves by Todd Walton. When Kirchner contacted Walton about the project, the author thought about it for maybe two seconds and replied: "Hell, yes!" Kirchner wanted to do four to six books at the beginning--enough titles to have a story, but few enough to control. He called his friend Jamie Angell, who suggested Matt Groening, a friend since high school. Groening agreed, and chose a '30s Hollywood noir-ish book called You Play the Black and the Red Comes Up by Richard Hallas, aka Eric Knight (yes, Lassie, Come Home. Really). Last summer, Kirchner was still trying to pin down the fourth book--it's not easy to find the right combination of authors, books and rights. He e-mailed Jess Walter, who chose The Land of Plenty, written in 1934 by Robert Cantwell--the gripping story of a Washington lumber mill town and worker unrest. After writing the novel, Cantwell went on to work at Time, Newsweek and Sports Illustrated. It was difficult to locate his family, but Walter is a former reporter and offered to dig around. He found Cantwell's grandson, who steered him to Cantwell's daughter, and Kirchner wrapped up this last deal just in time for his retirement from Ingram. June 5 is the publication date for the first four books, and they will be at the low-low price of $16--a price chosen after extensive market research ("the number looks classy. We didn't overthink it."). Pharos Editions is encouraging booksellers to see this as a series and to display them together; the marketing is geared to the series. The personalities of the selectors really come across in the introductions, as does their enthusiasm for the titles they chose. It's as if you were sitting across from Evison, Alexie, Groening or Walter over coffee or a beer, listening to them reply to the question readers ask each other whenever they meet, "Read any good books lately?" Kirchner started in the book business as a clerk at the University of Wisconsin bookstore in Milwaukee. He moved to Seattle and the SU bookstore, then became an independent commission sales rep with some obscure lines. He later segued into a rep job with early-days PGW, where he stayed until he moved to Ingram to be the director of national accounts. These days he spends his time nurturing Pharos Editions and sailing. He says with a smile, "Now I get to be the guy who harasses the sales reps!" --although he knows one thing about sales reps: leave them alone and let them do their job. 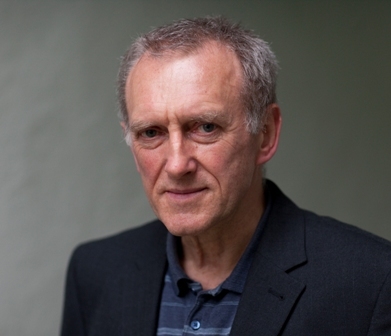 James Kelman was born in Glasgow, Scotland, in 1946. He won the Cheltenham Prize for Greyhound for Breakfast (1987) and the James Tait Black Memorial Prize for A Disaffection (1989), which was also shortlisted for the Man Booker Prize. His fourth novel, How Late It Was, How Late, won the Booker in 1994. His story collection The Good Times (1999) won the Stakis Prize for Scottish Writer of the Year. In 2008 he won Scotland's most prestigious literary award, the Saltire Society Book of the Year Award, for Kieron Smith, Boy. He is the author of a television screenplay, The Return (1991), and has written many plays for radio and theater. Kelman has taught creative writing at the University of Texas, Goldsmiths College of the University of London and the University of Glasgow. His newest novel, Mo Said She Was Quirky, is now available from Other Press. The Collected Stories of Lorrie Moore, Knockemstiff by Donald Ray Pollock, Assorted Fire Events by David Means, Billy Lynn's Long Halftime Walk by Ben Fountain and Civil Wars (essays) by June Jordan. As a young child: The Faraway Tree by Enid Blyton. From the age of five I queued up at the public library for each new book. I don't think I identified with her characters at all. They were from a different planet, but she knew how to tell a story. As an older boy, I liked the work of R.M. Ballantyne; the novels The Coral Island and Martin Rattler come to mind. Tales of the South Sea, adventure yarns in South America and so on. I enjoyed all the characters in the work of Mark Twain, beginning from Tom Sawyer's old Aunt Polly, and so many great villains. But I was there with Huck Finn on that island. On the Night-train Heading South by C.J. Brever. Tell Me a Riddle: Stories by Tillie Olsen. I think this opening story is one of the great works of American art of the 20th century. It is an immigrant's story and this makes it hard for many people. But really, it is a beautiful story and should be required reading for all. Tillie Olsen led an adventurous life as a woman, a mother and a person committed 100% to making the world a better place. I was fortunate to know her. Into her 80s and she was still fighting, this time on behalf of San Francisco public libraries. Her book Silences is another gem, and a must-read for all writers, especially those whose lives are consumed with the 101 essentials to living. I also recommend the short stories of Saadat Hasan Manto and Isaac Babel. The Diatribe by Angelina Mackenzie. This cover is an imaginative evocation in oils of an extraordinary prose narrative I came upon at the age of 13, which I lost and has haunted me for more than 50 years. I bought the book with an entire month's wages from my after-school employment as a newspaper boy, only to discover that an "imaginative evocation" is wholly distinct from a "prose narrative." It was a great disappointment. Fortunately I discovered a ragged old copy of The Celebrated Jumping Frog of Calaveras County, and Other Sketches by Mark Twain, and that cured me of any fancy pretensions. The book I know will change my life is On the Night-train Heading South by C.J. Brever, but it is becoming less likely I shall ever make a start on it. Both this and Kafka's opening line are good for students and people who want to become fiction writers: "Cut out the cackle and get on with the story." Winesburg, Ohio by Sherwood Anderson, with the proviso that I may have read it in my midteens. One of my favorite pieces of prose is the tribute to Anderson by Gertrude Stein, which she entitles "Sherwood's Sweetness." One of the most terrifying aspects of Rick Yancey's (The Monstromologist) novel of an alien infiltration is the sense that it could happen imminently, with contemporary references that place the action in the here and now. Sixteen-year-old Cassie Sullivan opens the story, and her first-person narration takes on the kind of stark, lone survivor quality of Richard Matheson's I Am Legend. Other chapters move between Cassie's unrequited high school crush, Ben Parish, and a Silencer--one who has infiltrated the population but is allied with the Others, alien beings attempting to take possession of the earth for their own species. Cassie reveals how the Others choreographed the extermination of the Earth's inhabitants. The 1st Wave, a massive electromagnetic pulse, killed half a million people. 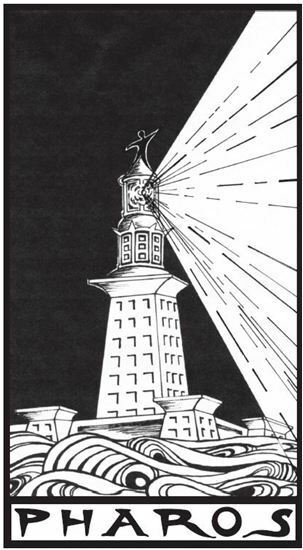 For the 2nd Wave, the Others dropped a metal rod twice as tall as the Empire State Building over a fault line to create flooding in all major coastal cities. Birds spread a plague for the 3rd Wave; after these three, 97% of the population was wiped out. The 4th Wave involved Silencers, stealth snipers that pursued the small number of survivors. The 5th Wave, which unfolds through the course of the novel, is the most chilling of all. The only other survivor in Cassie's family is her five-year-old brother, Sammy, whom soldiers herded onto a school bus bound for Wright-Patterson, the government stronghold, with all the other preteen children. Ben Parish, who survived the 3rd Wave, becomes the top recruit for the government, and his path intersects with Sammy's, as they're both trained to fight the enemy. Yancey's structure of moving among these narrative voices keeps readers off-balance. When Cassie, severely injured by a Silencer, decides to leave her cover, she says, "I am the one not running, not staying, but facing. Because if I am the last one, then I am humanity. And if this is humanity's last war, then I am the battlefield." The author sets up her resolve in contrast to the military commander of Wright-Patterson, who tells Ben, "I will teach you to love death. I will empty you of grief and guilt and self-pity and fill you up with hate and cunning and the spirit of vengeance. I will make my final stand here,... and you will be my battlefield." Shelf Talker: In Rick Yancey's suspenseful tale, an alien invasion of Earth asks readers to question what makes us human and what causes to lose our humanity.